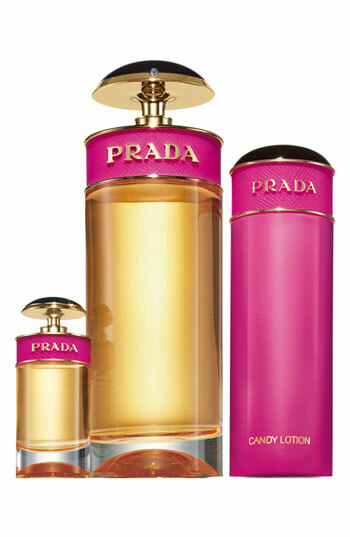 1) Ever since Prada first came out with perfume some years back, I have been a fan of almost every scent. My all-time fave is the ‘Infusion de Fleur d’Oranger’ Eau de Parfum Spray, but last year they came out with a new scent called “Candy”. I made the mistake of waiting too late to order mine and it went like hotcakes. Well I see that they have the sets back in stock now and I’m not gonna miss this deal again. I personally think it’s better to buy perfumes in sets because you get more for your money by getting both the lotion & perfume, the scent tends to last longer on your skin. Get this Mother’s Day gift set now before they’re all gone….again! 2) Next up is a candle scent that I’ve been a fan of for many years. As a Mother’s day gift some time ago my uncle gave me a ‘Buttercream’ Scented Yankee Candle and I have been purchasing this scent ever since. I hope that it never gets discontinued. The scent lingers throughout the house leaving a smell of a fresh baked cake. So when I recently discovered that the Buttercream scent now also comes compatible with the wall freshener units, I was ecstatic. These cans are compatible with the lysol, renuzit and airwick unit holders so no need to purchase the $30 holder from Yankee Candle. (Hey, save money where you can). The refills itself are a little more expensive than the other brands too but the long-lasting fragrance will pay for itself. To me there’s nothing better than walking into a room that’s smelling of a pleasant aroma! Yankee Candle ‘Buttercream’ Air Freshner Refill from Staples, $6.49, 6.6oz. 3) Moms should be fashionable as well as comfortable and with a classic ballet flat such as these, Mom gets the best of both worlds. I wear my ballet flats almost everyday to work. They can be dressed up or down. The Tory Burch ‘Reva’ Ballet flat was an instant classic when it debuted in 2005. Named after the designer Tory’s own Mother, these ballet flats are easy to travel with and worth the investment in the long run. Many other color options are available on the Tory Burch website. 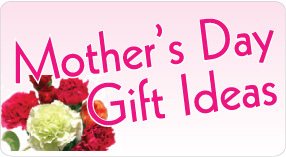 4) Want to give your Mom something “sweet” for Mother’s Day? This fruit basket from Edible Arrangements is the tastiest choice. I received one once before and the fruit is so fresh and juicy and will have the room smelling so sweet. Edible Arrangements makes fruit basket arrangements in the beautiful shape of flowers. They have so many choices for every occasion and will deliver worldwide. If you happen to live in another state from your mother, this will be the perfect gift to have delivered to Mom’s door!